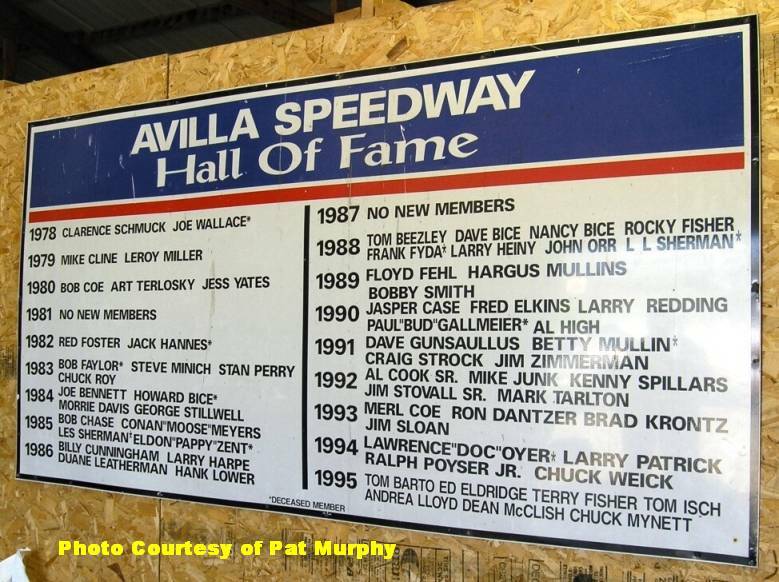 This is the Avilla Speedway Hall Of Fame sign. since the closing of Avilla Speedway. Thanks to Pat Murphy for the use of this photo.